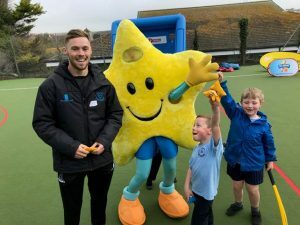 Phil was joined by the All Stars mascot, Twinkle to introduce boys and girls from reception, year one and year two classes to the basics of cricket and tell them about this summer’s programme. 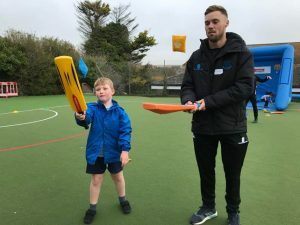 With the 1st Central Sussex Cricket Foundation Roadshow set up in the playground, the children were able to pick up a bat and ball – many for the first time – and try their hand at the kind of activities on offer at All Stars Cricket sessions. Last year, in Sussex alone, over 1,500 children took part in All Stars Cricket at 53 clubs across the county. Sixty-two clubs have signed up to host the programme in 2019, with more than 2,000 participants expected. 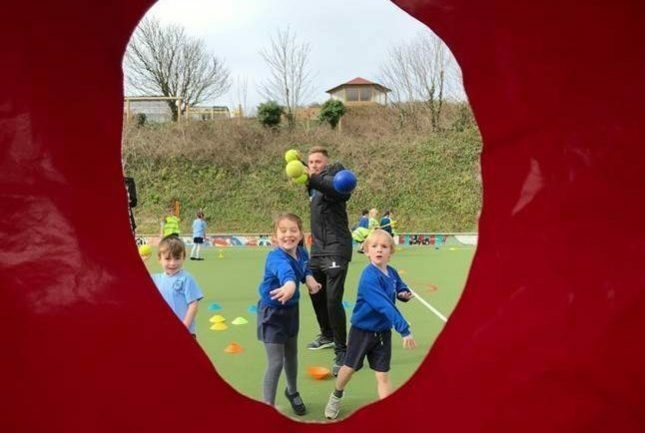 The visit to Our Lady of Lourdes is one of a number being delivered by Sussex Cricket Foundation at primary schools and community centres in March and April. 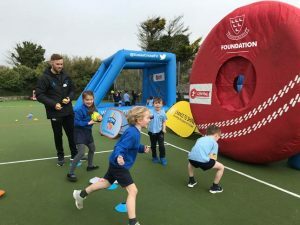 Over 12,000 children will be given a flavour of All Stars Cricket and encouraged to sign up to their local centre ahead of the start of this year’s programme in May. Reflecting on his visit, Phil said: “This is a great initiative. Things are kept very simple with the kids allowed to just pick up a bat and ball and enjoy themselves.